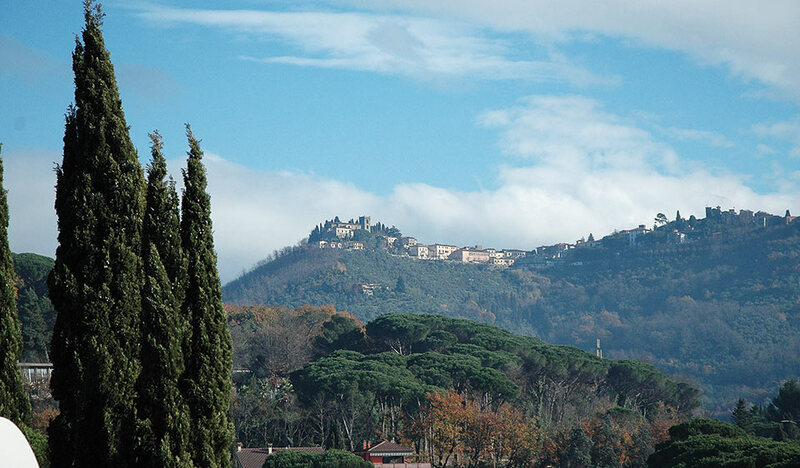 The ancient fortress of Montecatini was situated on the summit of the old hill which dominated the valley at an altitude of around 300 metres above sea level and visible for miles around. 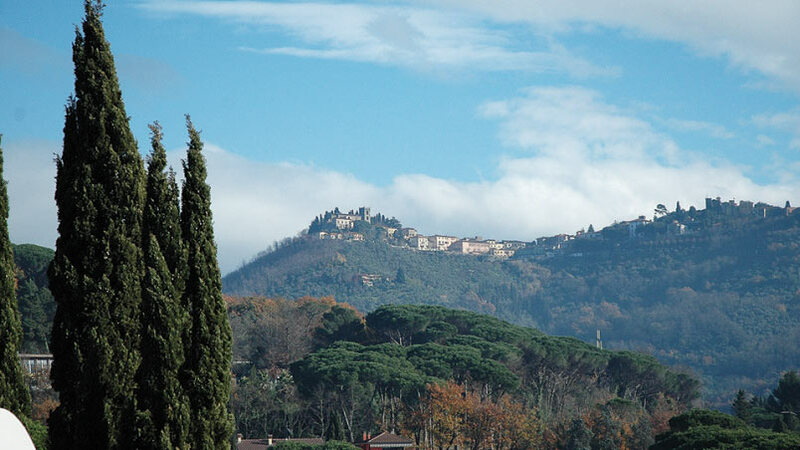 Today this town is called Montecatini Alto and you can get to it on a characteristic Funicular railway whose lower station is just a couple of hundred metres from the very central Viale Verdi. Alongside the station is an atmospheric footpath to the fort. The fort itself was razed to the ground in the sixteenth century but medieval traces of it remain visible as you stroll along the town’s streets such as Porta della Ruga, among the ancient access routes, or the ruins of some of the twenty five towers or old walls which were once more than two kilometres long. Using central Piazza Giuseppe Giusti dedicated to the poet who lived up here for a long time as a reference point you can climb up to the Chiesa di San Pietro Apostolo. A number of paintings grace the interior including, in particular, a Madonna con bambino e i Santi Rocco e Alberto Carmelitano which is attributed to the school of the great Perugino. Just a short distance away is the Museum of Sacred Art with its vast collection of work including the precious Reliquary of Santa Barbara. Returning to Palazzo Giusti you can stop off for a break in one of its many bars and restaurants. The other buildings on the square include the so-called Torre di Ugolino, the Cappellina di Piazza set into a tower between two residential buildings which contains the fresco of the Madonna con bambino e cardellino dating to the 15th century. On the square once more, a little further on, is the Teatro dei Risorti built in the XVII century, used in the past as a theatre and public events venue and now a restaurant. At the back of the square, the Palazzo del Podestà, with its aristocratic coats of arms incorporated into the facade and once seat of Florentine power.